In order to survive in the changing business environment,organisations should rethink their strategic philosophy and the role of management accounting. The primary focus of this book is on techniques and concepts of cost and management accounting for strategic business decisions.It focuses on both conventional and contemporary issues.The book will serve as a reference source for practicing accountants, senior executives and managers working in human resources, operations, and accounting divisions. As the principal focus of this book is on conceptual foundations, it would also be ideal for courses in graduate programs such as master's degree, MBA or Executive MBA. Zahirul Hoque is Professor and Chair of Accounting at La Trobe University, Australia. He earned his PhD from University of Manchester in 1993, and also has B.Com and M.Com from the University of Dhaka. He edits and contributes to a number of international accounting journals. 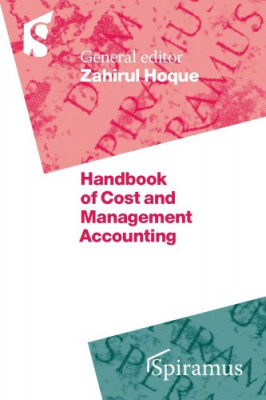 CHAPTER 15 Corporate financial management: time to change the cost of capital paradigm? CHAPTER 16 Ethical finance: an agenda for consolidation or for radical change?